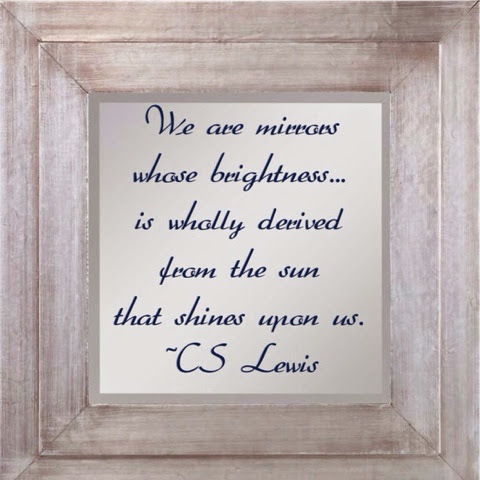 We Christians have no veil over our faces; we can be mirrors that brightly reflect the glory of the Lord. And as the Spirit of the Lord works within us, we become more and more like him. Praying our reflections get buffed up today! Great quote and even better scripture. Thanks for sharing.